Alex Raisbeck is regarded as the club's first star player. If the centre-back was around today, he'd undoubtedly be a pin-up of the Fernando Torres ilk. Instead, Raisbeck plied his trade at the turn of the twentieth century and played a prominent part in Liverpool's early success. His Anfield career spanned eleven seasons, during which he evolved into one of the best defenders of his generation. The Scot first came to the attention of scouts on Merseyside while playing for Stoke. In the kind of transfer swoop that would later become a Liverpool trademark, secretary-manager Tom Watson was sent to the Potteries and instructed not to return without sealing a deal. It cost Liverpool £350 to tempt Stoke to part with their prized asset in 1898 but it was to prove money well spent. Raisbeck was an instant hit with the Anfield faithful, not least because, during his first season, he declined the chance of a first international cap in order to help THE Reds' chase for a League and Cup double. As it turned out, his efforts were in vain. Liverpool lost out on both fronts but it was a tremendous display of loyalty from the new man. The defender would eventually gain representative honours for Scotland and domestic prizes were also on the horizon. Two seasons after that double disappointment, Raisbeck captained the Reds to their first League Championship. Despite standing at just 5ft 10ins, the Stirlingshire lad was a commanding centre-half whose timing and athleticism enabled him to reach the ball before taller opponents. 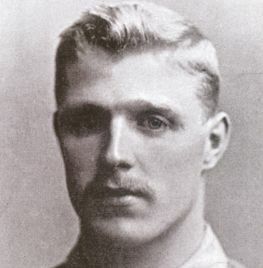 Raisbeck stayed loyal to the Reds following the shock relegation of 1903-04, helping his teammates bounce straight back before leading by example once more as Liverpool became the first club to win the Second and First Division titles in successive years. When his glorious Anfield career eventually came to an end, the Scotsman returned to his homeland to play for Partick Thistle and Hamilton Academicals before spells at the helm of Bristol City, Halifax and Chester. His love of Liverpool never died, however, and he later came back to take up a scouting position. One of this club's finest ever servants eventually passed away in 1949 but Alex Raisbeck will forever be remembered as the first in an illustrious line of great Scots to grace Anfield.